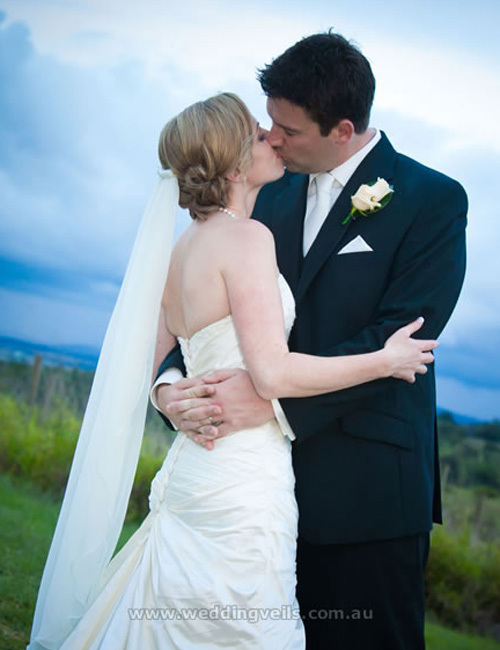 Melody is a delightful Silk Chiffon veil! 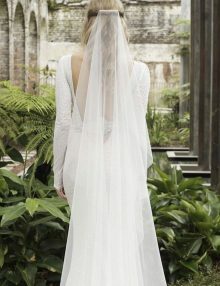 This romantic veil suits slim-fitting wedding gowns, and chiffon or georgette gowns. Starting from elbow length (70cm) and available in longer lengths. Cannot be worn over the face. 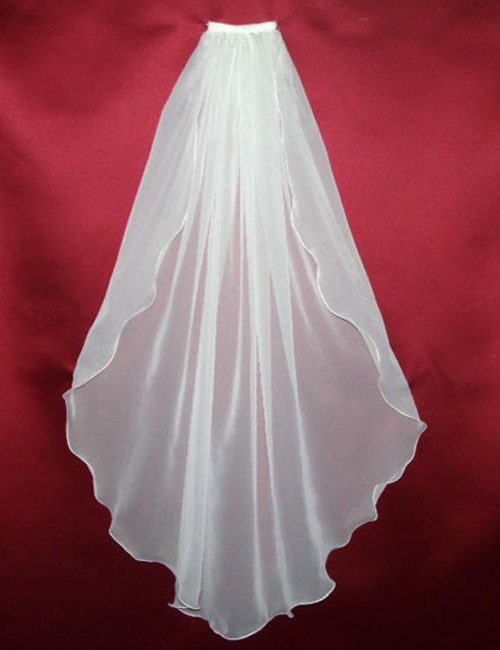 Available in White and Ivory Silk chiffon. 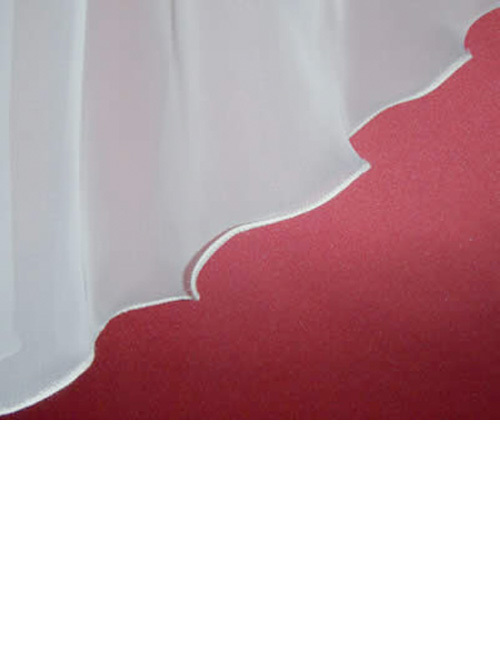 Also available in Silk Georgette. 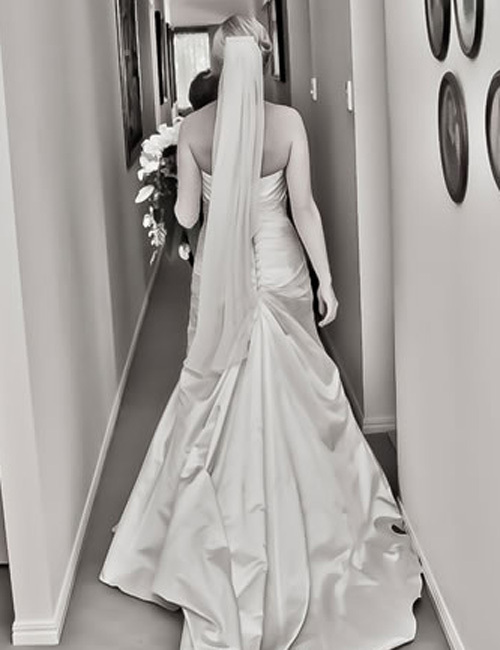 Worn by Victoria A in fingertip length. 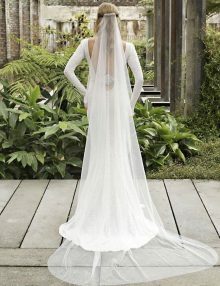 For a longer version of this veil, see Melinda ST veil.